Have a robust of videos, movies or TV programs in the MKV format and wish to convert them into VOB format for playing on DVD player, burning to DVD disc or watching on MKV unsupported but VOB readable devices such as PlayStation 3. The following article will offer the the simplest free solution to free convert MKV to VOB with fast speed and outstanding quality. Although there are many options on the market, however, if you are looking for a free solution that offers easy operation, stable performance, fast conversion speed, perfect quality and also versatile editing function, etc, you can’t miss Pavtube Free Video DVD Converter Ultimate. – Get better output video and audio quality with adjustable profile settings such as video codec, size, bit rate, frame rate and audio codec, bit rate, sample rate and channels, etc. – Trim/Merge/Split/Watermark/Deinterlace video, add watermark, apply special effect, insert external subtitle to output VOB video to enhance video to another high level. – 100% clean, no spyware, no malware, no adware and no virus. How to Free Convert MKV to VOB with Pavtube Free Video DVD Converter Ultimate? Step 1: Load source MKV video. Download the free trial version of the program. Launch it on your computer. Click “File” menu and select “Add Video/Audio” or click the “Add Video” button on the top tool bar to import source MKV files into the program. You can load multiple MKV files into the program by clicking “Add from folder” button. Clicking the Format bar, from its drop-down list, choose one of your desired file VOB file format according to your television system under “VOB Format” main category. Step 3: Edit video with built in editing functions. Select an item on the main interface to active the Edit menu. 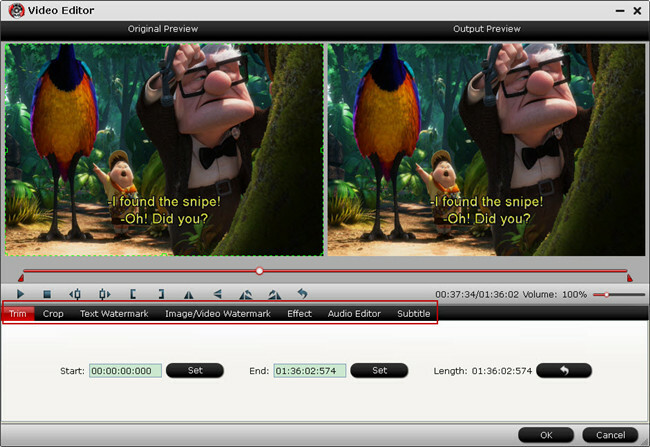 When a video or movie is selected, click the pencil like Edit icon on the left top tool bar to open the video editor window, here, you can play and preview the original video and output effects. Also you can flip or rotate video, trim, crop, add watermark, apply special effect, edit audio or insert external. 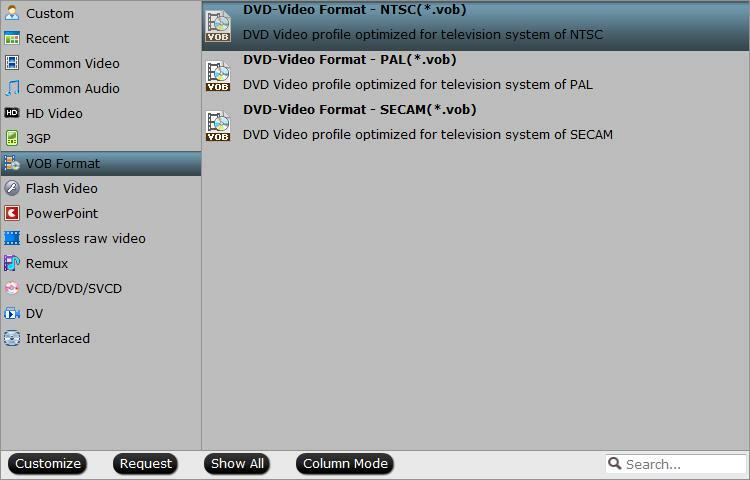 After all setting is completed, hit the “Convert” button at the right bottom of the main interface to begin the conversion process from MKV to VOB NTSC or PAL format conversion process. When the conversion is finished, click “Open Output Folder” icon on the main interface to open the folder with generated files. Then you can easily play the converted VOB files on DVD Player, burn to DVD disc or transfer and play on VOB compatible devices like on PS3. Tips: For those people who wish to convert MKV to VOB on Mac or convert MKV to MP4 file formats, you will need to download this cross-platform and advanced program called Pavtube Video Converter Ultimate (get Mac version), the program can comprehensively output 4K/2K/HD/SD MP4 file with the compression codec of MPEG-4, H.264, H.265 for different usage. In addition, it also facilitates you to generate 3D TV/VR Headsets/3D Projector/3D Video Player compatible 3D SBS/TAB/Anaglyph format for viewing with immersive 3D effect. How to Downsize VOB with Ease?